Leading with purpose is my mantra. 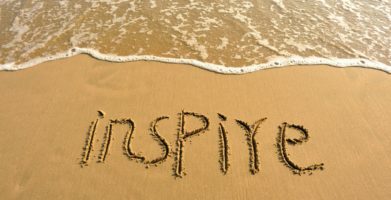 As a lifelong nature lover and entrepreneur, I’ve found purpose by using business to make the world a better place. Consciously choosing kindness in everything, even when making tough business decisions, makes it easy to continually raise the bar for sustainability. 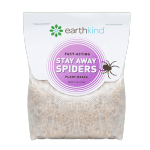 Creating products and a company focused on bringing protection, kindness, and harmony into our homes has felt like an uphill battle at times. Staying optimistic in the face of recent reports forecasting environmental catastrophe isn’t easy, but neither is being a female entrepreneur in the male-dominated pest control industry. It’s so easy to overlook the real actions companies across the board are taking toward becoming environmentally sustainable when all the headlines proclaim doom and gloom. Naturally, I was excited to hear about the partnership between Good Housekeeping and Made Safe. Their recent Raise the Green Bar summit was a day filled with eco-conscious keynote speakers, fireside chats and riveting panels of influential industry leaders. Corporations like Walgreens and NBC sat alongside startups like Paper Greats, validating my belief that business can be a force for change and a force for good. Socially and environmentally responsible companies are working together to do things differently. Sustainability no longer sits pigeonholed in supplier diversity departments. Seeing sustainability become a top priority across multiple industries, in medium-sized and big companies is inspiring! Food, beauty, fashion, media and hygiene industries (P&G, LOLI, Eileen Fisher, and Danone, to name a few) have been working toward the same objectives as EarthKind. Many industry leaders have been raising the green bar for some time now. Procter & Gamble has an ongoing project dedicated to plant-based detergent; Eileen Fisher has established a successful procedure for limiting textile waste; Burt’s Bees is committed to using food-grade beauty products while maintaining high integrity through ingredient transparency; Danone is expecting to have 100% reusable packaging by 2025; and retailers like Lowe’s are committed to becoming a go-to place for sustainably made, high-performance products. 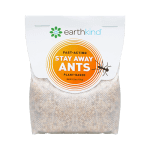 Brands like EarthKind’s Stay Away pest repellents are now available in 100% of Lowe’s stores. Citibank has also taken measures in regard to sustainability, initiating a $100 billion Environmental Finance Goal toward activities that reduce climate change and create environmental solutions. How great is that? Pesticides and environmental toxins were a huge topic of conversation to my great delight. Author of White Wash, by Carey Grillam, and Dr. Philip J. Landrigan, MD, MDc, both gave profound keynotes on the truth behind pesticides and what they are really doing to our health and environment. Exposure to these common household chemicals has been scientifically researched as a root cause of many health issues, including respiratory and neurodevelopmental problems, reproductive problems and even cancer. This is what drives me every day to keep pushing EarthKind’s mission forward – we deserve to live in a world where we don’t have to trade our health and safety for supposedly “safe” commercial products, especially those products that we are exposed to every day in our homes. Each state is responsible for pesticide regulation ensuring safe transportation, use, and claim concerns, but they are sorely understaffed to enforce safety measures. Learning about these initiatives had me thinking about you, the consumer. How can we bring a higher level of education regarding sustainable, natural, and toxin-free products into the mainstream market? Summits like Raise the Green Bar are helping to change the narrative – bringing businesses together and fostering collaborations between companies. Change is coming from the top down – with huge retailers like Walgreens and Target taking sustainable actions of their own, while bringing natural and plant-based brands onto their shelves. 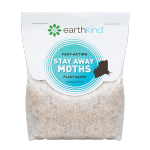 This gives me hope and validation that our efforts here at EarthKind are resonating with the masses. Big consumer-followed companies and their own movements, like Good Housekeeping’s newly launched Sustainability Awards, are helping to make these efforts mainstream. Providing direct-to-the-consumer knowledge of what brands are really making a sustainable difference gives you, the consumer, more insight into which brands to trust. 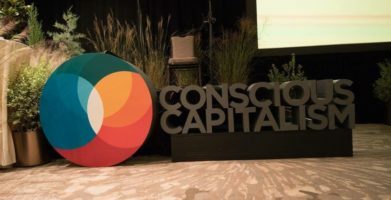 Drawing parallels between the efforts expressed at the Raise the Green Bar summit and the efforts we put forth at EarthKind every day has been so rewarding. Events like these continue to grow my faith in conscious capitalism and confirm that my mantras continue to prove effective and true. Will you join me on the journey to sustainability?